Built in 1918 as SS Lake Arline at Globe Shipbuilding Co., Duluth, MN. 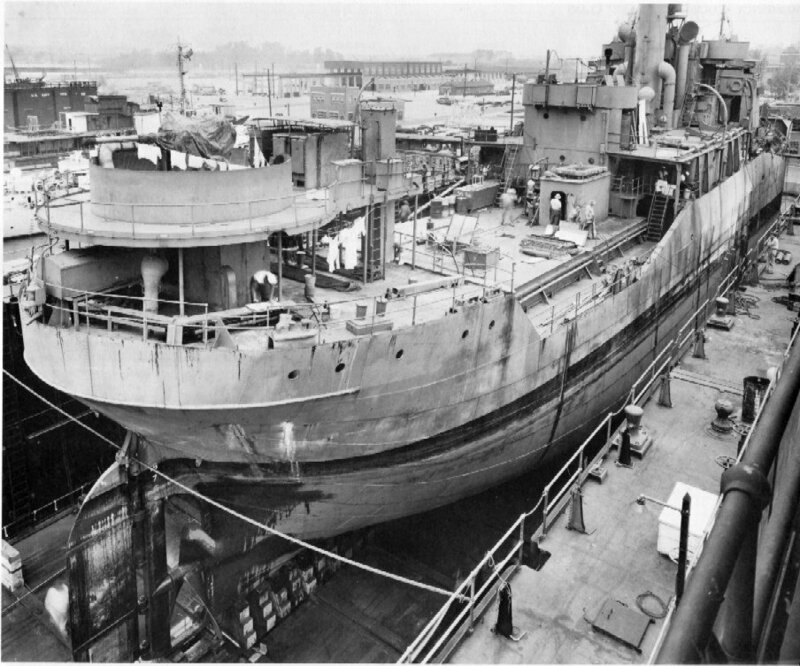 Converted for Naval service at Maryland Drydock Co., Baltimore, MD. 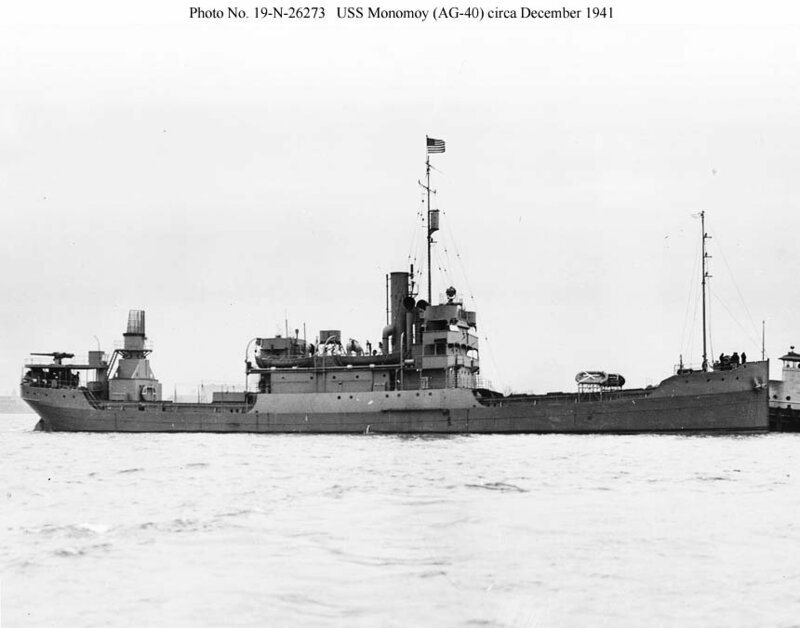 Transferred to the Maritime Commission, 9 September 1946, for lay up in the National Defense Reserve Fleet, James River Group, Lee Hall, VA.
51k USS Monomoy (AG-40) near Baltimore, Md., circa December 1941 after completing conversion. As a weather reporting ship this vessel lost all of its cargo handling booms and most of its rig. The round structure aft was for inflating and launching weather balloons. 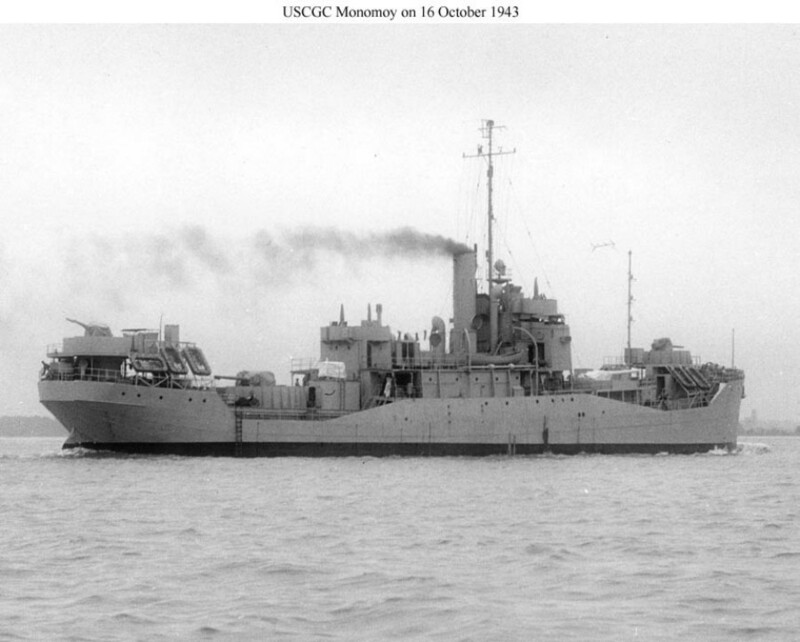 108k USCGC Monomoy (WAG-275) under way 16 October 1943 after completing conversion to an Armed Guard training ship. Her armament, very heavy for an auxiliary vessel, consisted of one 5"/38 in the after well deck, two 4"/50 side by side in the forward well deck, and two 3"/50, one forward and one aft. The bulwarks in her well decks have been cut down to deck level and replaced with railings.